Member education is important to the Redwood Unit. Past member education classes have consisted of topics such as packing and dutch oven cooking. The dutch oven classes explain many ditch oven cooking principles. Members have learned to prepare and cook dishes such as: Chip's chili, jalepeno poppers, cornbread and peach cobbler. 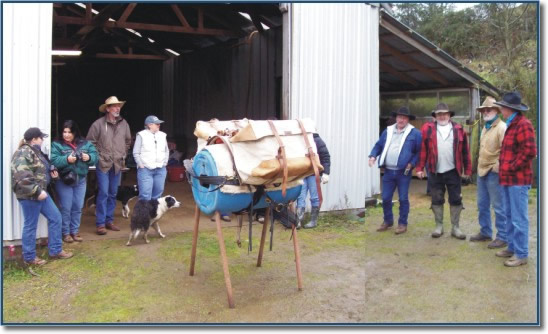 Packing class has demonstrated the double and single diamond hitch, box hitch, sling hitch, basket hitch, creating a highline, proper pack saddle fit and types of pack saddles, panniers and boxes. Future member education events are planned to include gentle use camping techniques and trail safety. See the Newsletter for a upcoming member education events!